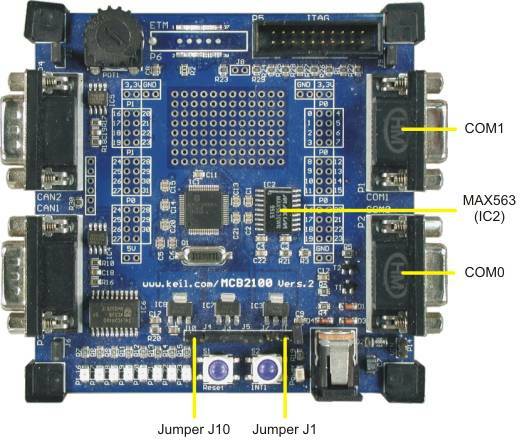 The MCB2100 board connects the two ASC0 on-chip serial UARTs to the MAX563 (IC2), which converts the logic signals to RS-232 voltage levels. The ASC0 UART may be used in bootstrap mode to download other utilities for debugging or downloading flash. The serial ports (COM0 and COM1) are configured as a standard 3-wire interface.